Alabama's legislative session ended last Thursday, but lawmakers have yet to come to an agreement on how to close the upcoming fiscal year budget gap. Last month, we wrote about three revenue increase plans that were on the table. 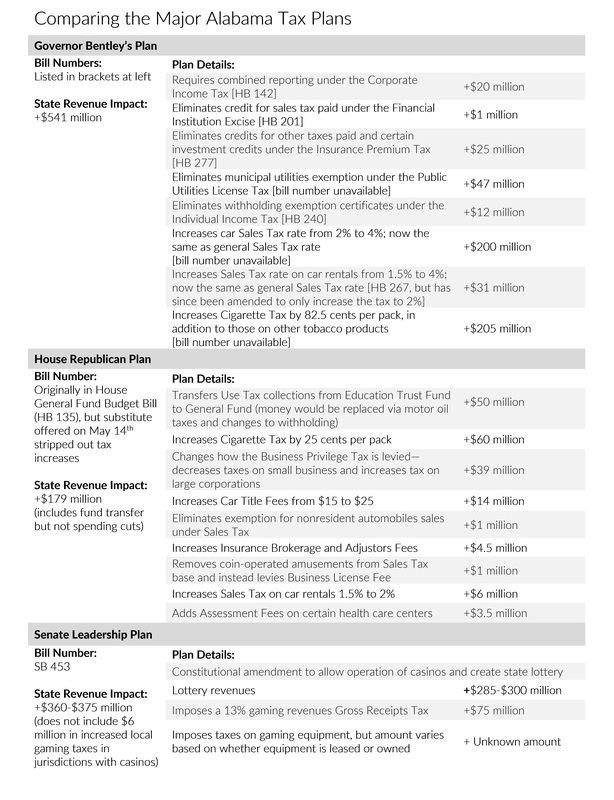 Below is an overview of what those revenue plans looked like (click here for a table breaking down each plan's details). Since that time, the situation has shifted significantly. The Senate Tourism and Marketing Committee ended up approving the casino bill, but it never reached the Senate floor (legislative history here). A few days later, the Senate passed the amended version of the House Republican plan, but Governor Bentley ultimately vetoed the budget, calling it “unworkable" (legislative history here). The budget was controversial because of the areas where the cuts landed hardest: $59 million from the Department of Mental Health, $57 million from the Department of Public Health, $50 million from the Department of Youth Services, and $40 million from the State Law Enforcement Agency. The governor said he plans to again ask lawmakers to approve both taxes and budget changes when they are called into a special session…. He said he might streamline his initial tax proposals— which included a broad range of bills from a cigarette tax increase to changes in corporate taxes — to reduce opposition. 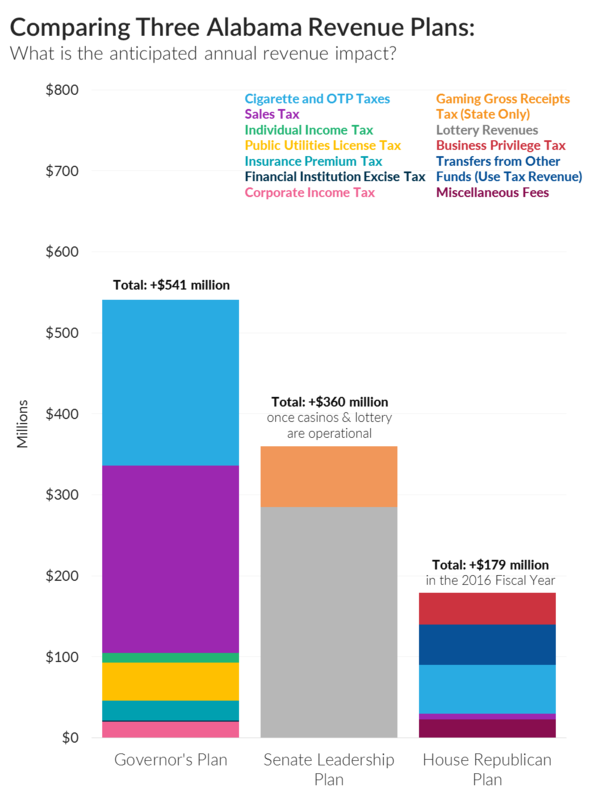 Fully reducing opposition may be difficult, however, as a sizable group of senators and House members have voiced their opposition to any tax increases.